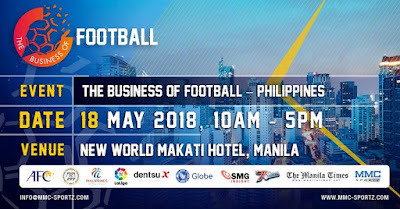 Riding on the heels of the historic Asian Cup 2019 qualification the Philippine Men’s National Team, more popularly known as The Azkals, the Philippines is set as the perfect venue for the upcoming “The Business of Football - Philippines,” a one-day Conference. 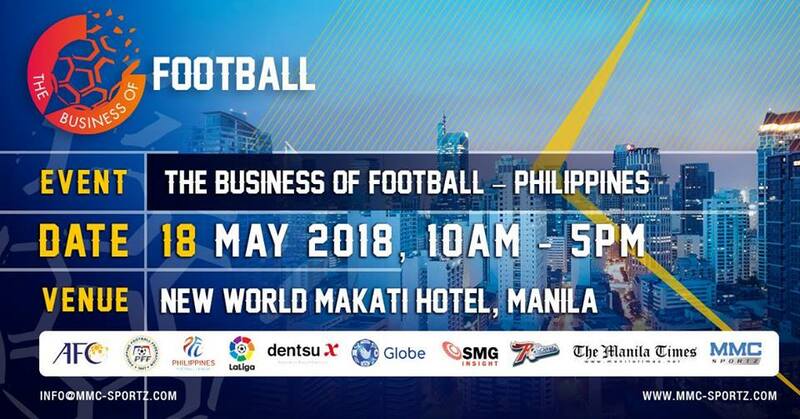 “The Business of Football – Philippines,” sanctioned by the Philippine Football Federation (PFF), is the first of its kind to take place in the country on May 18, 2018, from 10am to 5pm, at the New World Hotel Makati. 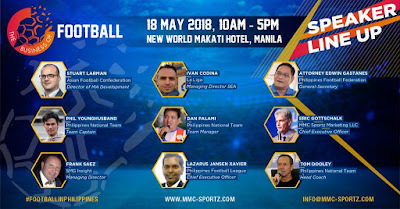 Confirmed speakers include AFC Director Member Association Development Mr. Stuart Larman, La Liga Managing Director for SEA, Mr. Ivan Codina, Men’s National Team Manager Mr. Dan Palami, Men’s National Team Head Coach Mr. Thomas Dooley, Men’s National Team Captain Mr. Phil Younghusband, Philippines Football League CEO Mr. Lazarus Jansen Xavier, MMC Sportz Marketing CEO Mr. Eric M. Gottschalk, SMG Insight Managing Director Mr. Frank Saez, and PFF General Secretary Atty. 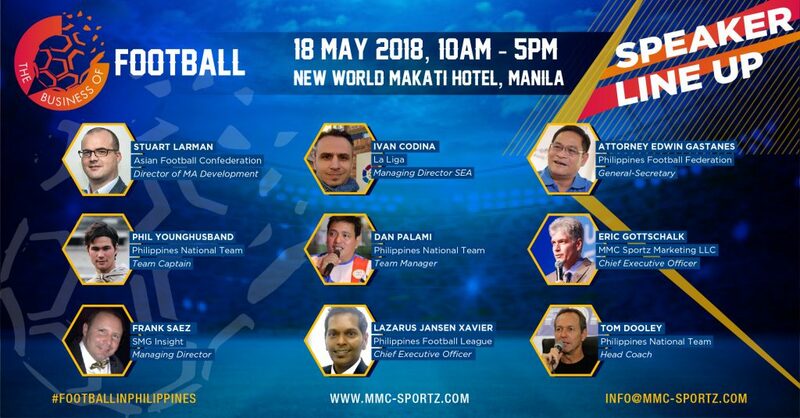 Edwin Gastanes, Head of MA Services of Asian Football Confederation, Mr. Domeka Garamendi, among many others.